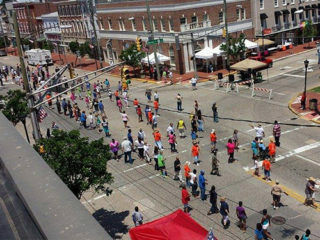 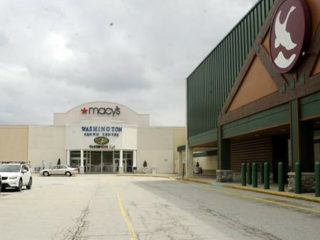 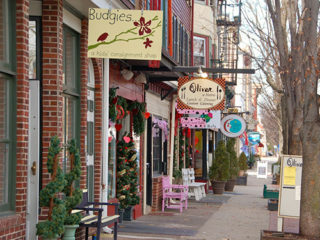 In South Jersey, shopping is an all-day experience on the sunny sidewalks of beautiful downtowns. 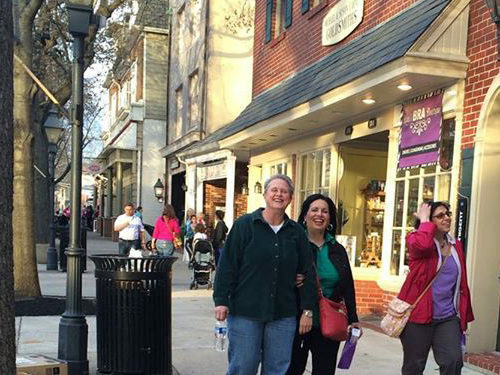 Their big, glassy storefronts house a unique inventory of items that have been hand-selected by the hardest-working small business owners in the Delaware Valley. 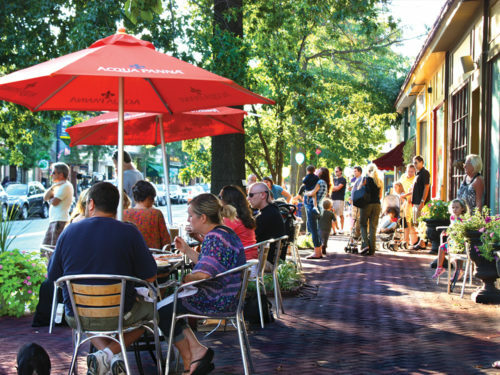 These historic communities have only become more inviting through the years, complementing their storefronts with al fresco dining along tree-lined streets. 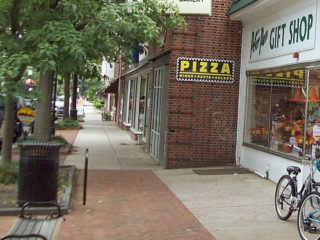 Collingswood accents its popular, dining-focused “Restaurant Row” with vintage retail, sustainable parenting goods, and art-and-gift galleries. 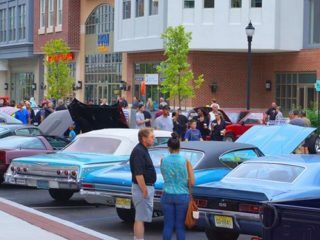 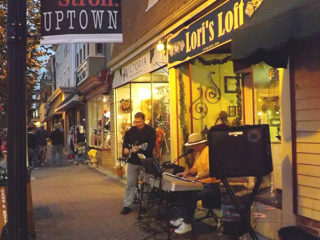 Downtown Bordentown offers a unique slice of historic South Jersey, featuring art galleries, bookshops, antique stores, and a vintage record shop. 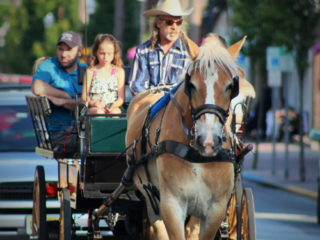 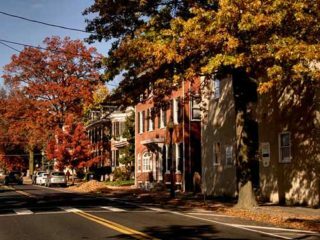 Burlington City has something special for the visitor who enjoys American history, antiques, folklore, and the charm of one of the best shopping districts in Burlington County. 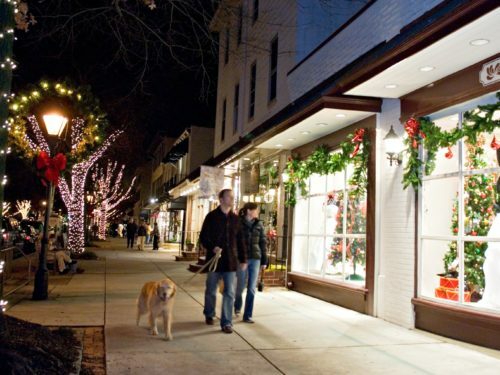 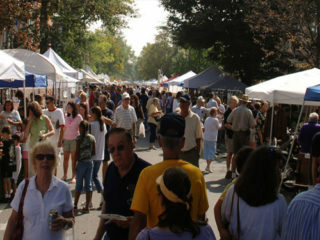 Haddonfield combines colonial-era charm with contemporary boutique shopping. 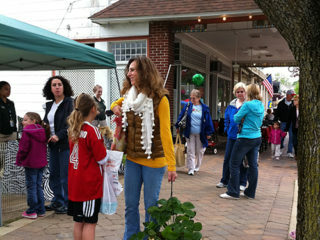 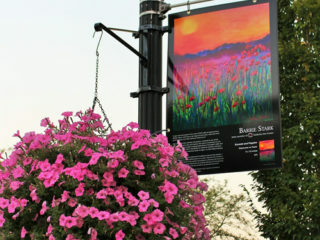 Monthly First Fridays from April through November feature street performances and art displays. 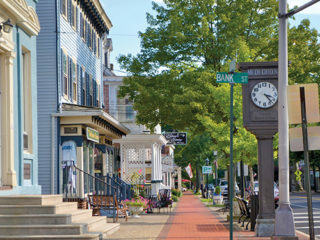 Medford Village sets its downtown shopping experience, which includes antique and jewelry stores, and gardening supplies, amid historic streetscapes. 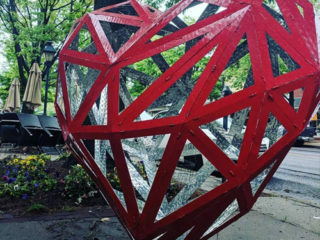 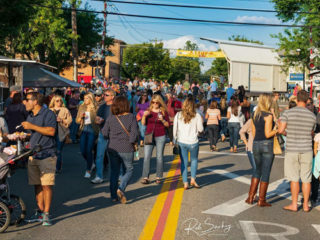 Woodbury is home to several fine artists and performance groups situated among 113 acres of parks, historic buildings, shops, and eateries. 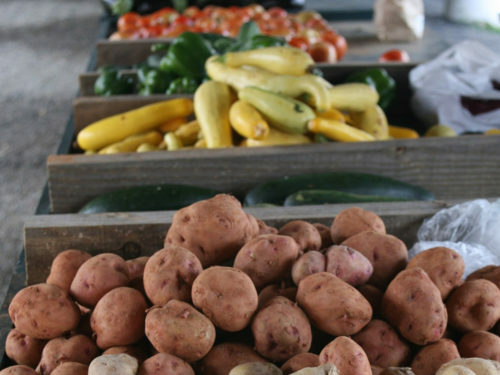 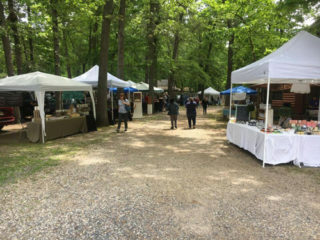 At the Columbus Farmers Market, shopping “the oldest and largest flea market in the Delaware Valley” means having your pick of thousands of items, including antiques, gardening gear, fresh produce, and Amish baked goods. 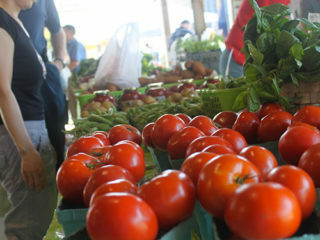 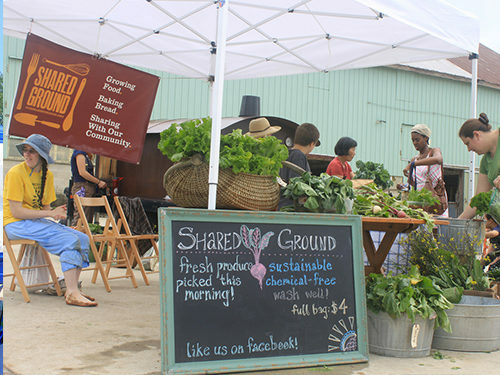 The “Often Imitated, Never Equaled” Cowtown Farmers Market in Pilesgrove has stood for 87 years in Salem County. 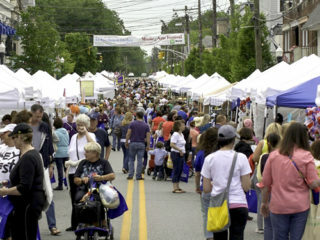 More than 400 merchants buy and sell livestock, antiques, produce, and collectibles every Tuesday and Saturday from 8 a.m. to 4 p.m.
Family-owned-and-operated Duffield’s Farm Market has been a mainstay of Gloucester County for more than 80 years, providing fresh produce, seasonal hayrides and pick-your-own crops. 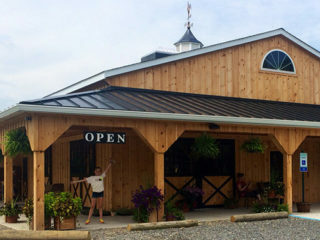 Likewise, the Stoltzfus Family of Lancaster County, PA, has brought the farm-fresh taste of Lancaster County Pennsylvania Dutch foods to Williamstown, NJ, for generations. 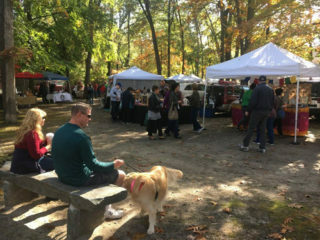 From Thursday through Saturday, enjoy fresh-baked pies, sausage, oven-roasted turkey, and hand-rolled soft pretzels. 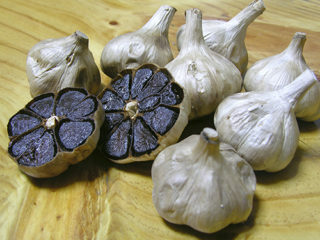 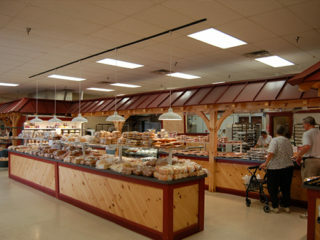 The Village Shoppes next door have hot and bulk foods, produce, and a full-service restaurant. 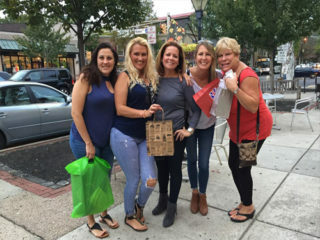 Click here Click here to find out more!